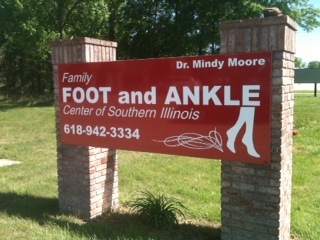 Founded in 2009, Family Foot and Ankle Center of Southern Illinois was established as a board-certified, full-service podiatric/surgical clinic to serve the people of Southern Illinois. We pride ourselves on providing care for children, adults, and seniors. Family Foot and Ankle Center understands the need for consistent care. We treat each patient like family. Our compassionate, professional staff is dedicated to providing the highest level of care possible. Because we are physician owned, we are patient driven. This means that we can focus more on providing excellent care, and less on the bottom line. We are not tied to any large medical corporation. We provide effective care that is responsive to the needs of the communities of southern Illinois. Being physician owned means that our doctor is able to focus on you!